Roof Replacements – 3 Reasons You Need to Replace Your Roof Today. 3 reasons to replace your roof in Adelaide today: prevent structural failure, remove asbestos & prevent fire risks. Get pre-approved finance. When renovating your home, the most obvious area to replace is often overlooked. Replacing your aging roof is essential as the years move on, not only for structural integrity and resale value, but for your health. Here are 3 reasons why a delay in replacing your old roof might negatively impact on your long-term health. Water damage not only devalues your most prized asset, it can also cause multiple health issues— and serious ones. The silent nature of water often means extensive damage occurs over long periods of time. Once noticed in the roof cavity, it often means pricy repair bills and sometimes an entirely new structure. It also means an ideal environment for mould and mildew to grow—a fungus that can cause life threatening respiratory illnesses. Pre-existing conditions like asthma and bronchitis are also exacerbated. Among other hazards, such as structural integrity due to persistent and unchecked leaks, water damage can wreak havoc on electrical components often hidden away in roof cavities. If your home is like most in Adelaide, it was likely built long before you purchased it. 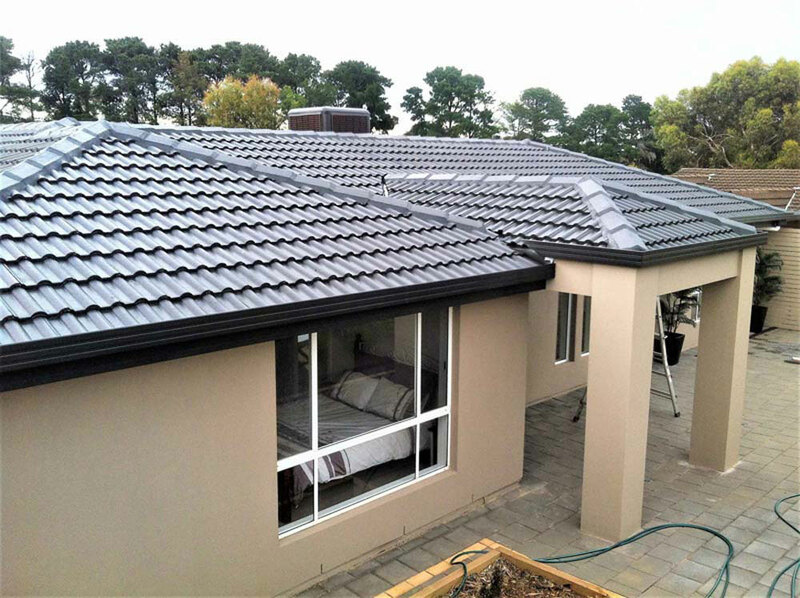 It makes sense to hire a qualified roofing contractor in Adelaide to replace your ageing tile or asbestos roof with a Colorbond steel roof. 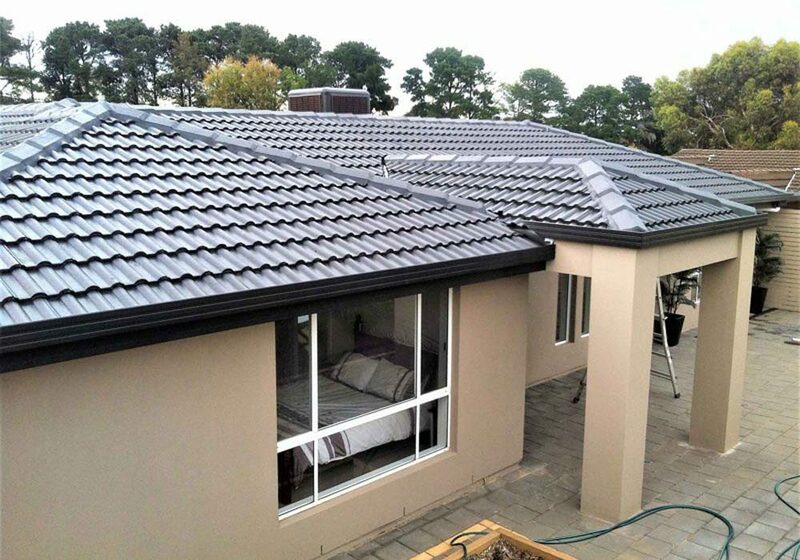 Not only does a Colorbond roof look great, but it lasts almost a life-time. Lightweight asbestos roofing was considered a modern engineering marvel and credited with providing lightweight and affordable roofing. However, with the added convenience and affordability came with a dangerous price. Damaged asbestos roofing materials can cause serious health impacts for individuals who are exposed to airborne micro particles. If you are looking for an asbestos removalist company in Adelaide, you’ve come to the right place. We are one of a few roofing companies in Adelaide licensed to perform their own asbestos removals. Today, asbestos roofing is still a real threat to home owners of older houses. Used predominantly prior to 1987, asbestos was a commonly used material for construction because of its insulating and waterproof properties, and affordability. Even into the 1990s, products containing asbestos were used in items such as brake pads, flooring and wall lining. The cancer causing asbestos can be found in both corrugated roofing sheets and shingles, as well as ceiling insulation, and is responsible for some 10 000 deaths; with a predicted 45 000 more deaths in the near decades, asbestos is still a very real problem. Minimal exposure to asbestos from airborne particles can be detrimental to those exposed, hence the urgency to remove the silent killer. Organising inspections and hiring a licensed asbestos removalist company in Adelaide to remove your asbestos roofing is paramount. Fire hazards are self-explanatory in that we all know what fire can do, but what causes these fire hazards in the first place? By putting off a much needed roof replacement, holes and damage in shingles, tiles and Colorbond allow for rain and rodents to creep in. Water trickling into the cavity of a roof can create electrical hazards with the circuitry and panel boxes, while rodents and birds nesting in the roof can also create fire hazards as well as other health hazards. Holes in the roof also provide space for flying embers to get in, so if you’re in a bushfire prone area, it might be time to re-evaluate the condition of your roof. Knowing when your roof was installed will give you insight into potential problem areas, especially concerning asbestos exposure. For water damage of any kind, signs of rotting boards, sagging roof lines and trapped moisture indicate bigger problems; if moss is growing on your roof; a mould/mildew problem grows exponentially. An aging roof requiring replacement needs quick attention. If in doubt about your roof’s integrity, seek advice from a reputable roof specialist today.